Weekly (or more frequently if required) vacuuming is the most effective preventative maintenance you can do at home. Your rugs act as filters in your home. 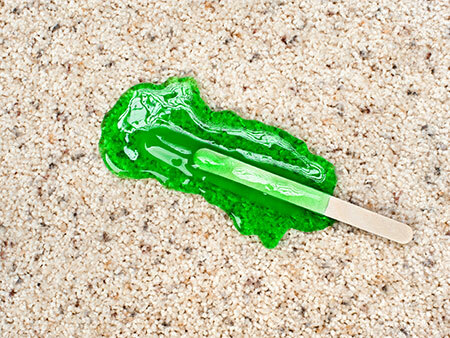 Environmental dust bounces and re-circulates off the hard surfaces in your home but eventually settles and becomes trapped in the surface of rugs and other soft furnishings, removing it from the air and therefore improving the air quality. If not vacuumed out of the top few millimeters of the rugs surface regularly, the action of living and walking on a rug forces the dust deeper down into the pile beyond the reach of the vacuum’s suction. There it accumulates and impacts, abrading the fibres and structure of the rug. If your rug looks dusty or dirty then it is in need of professional cleaning. We take utmost care when transporting, cleaning and drying your rugs. If they have been water damaged within your property, it’s best to remove them to our off-site cleaning facility. If your rug is considered valuable (Persian, Oriental), we will first assess it to ensure we are appropriately trained to handle it. The first step is to check the condition of the rug. Every rug is photographed and documented to determine and identify any pre-existing conditions which could potentially affect the cleaning process. We then test the dyes for colourfastness and identify the face and foundation fibres to determine the most appropriate cleaning method. We will contact you prior to cleaning to discuss your rug’s condition and to obtain your authorisation to proceed. The next step is the most important part of the cleaning process: dry soil removal. As woven rugs, especially hand-knotted wool pile rugs have a denser pile than wall to wall carpet they hide substantially more dry soil than wall-to-wall carpet. 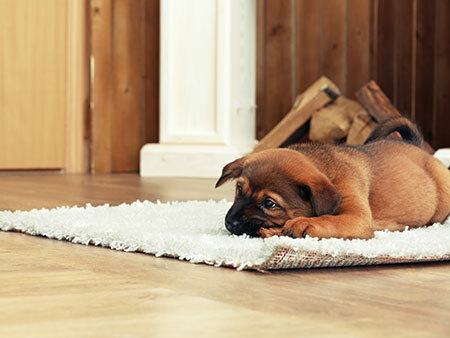 More than 70% of the soiling in rugs is fine dry dust and abrasive grit that damages the rug’s structure. Locked deep down in the pile, it cannot be removed by a domestic vacuum cleaner. Wetting the rug before removing this grit turns it into mud, making it impossible to completely extract. Dry soil removal requires the help of professional rug dusting equipment. Following dusting, the rug is vacuumed to remove fine particles left on the surface. After a thorough dusting, one of several rug specific washing methods is used to wash the rug safely, conditioning the fibres and restoring the natural lustre. These methods range from minimum moisture to complete submersion cleaning based on the fibre content, delicacy and colorfastness of your rug. After washing the rug will be laid flat or hung on our rug tower where it is rapid air-dried to brighten colours and prevent browning. Inadequate or incomplete drying or wet cleaning on site can cause dye migration, mould growth, cellulosic browning, texture change, dimensional change or dry rot. Additional services and treatments are also offered and applied after the rug is dry. Soil protection resists soiling as well as water and oil-based staining and can enhance the performance of your rug and help to keep it clean longer. Odourless moth repellent is a good option for rugs under furniture or rugs that need to be stored. Your rug is surface cleaned one more time with our rug polisher that makes the colours “sing” and restores the bulk and softness of the pile. Some rugs also require additional fringe cleaning or correction after the initial cleaning. We have special procedures and solutions to restore the original colour to the fringe. We do not use chlorine bleach, which causes degradation and permanent damage to the foundation fibre. 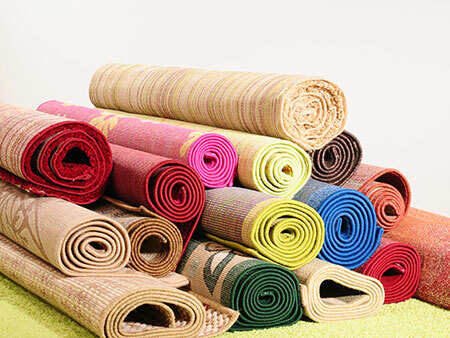 As most rugs are made of highly absorbent natural fibres it is not recommended that they be wrapped in plastic. However we will carefully tie them with cord for ease in handling prior to delivery. If they are to be stored we can wrap your rug in acid free Kraft paper. Upon delivery we will re-lay the rug for you if requested. Replacement of tired underlay can also be arranged pre-cut or installed on delivery. We have over 20 years of combined experience in the restoration industry. Our specialist IICRC accredited training means we are equipped with the knowledge to use our state-of-the-art diagnostic technology and techniques to deliver commercial & residential property recovery and restoration. There is no job too big or too small. We are available 24/7, for an emergency response.